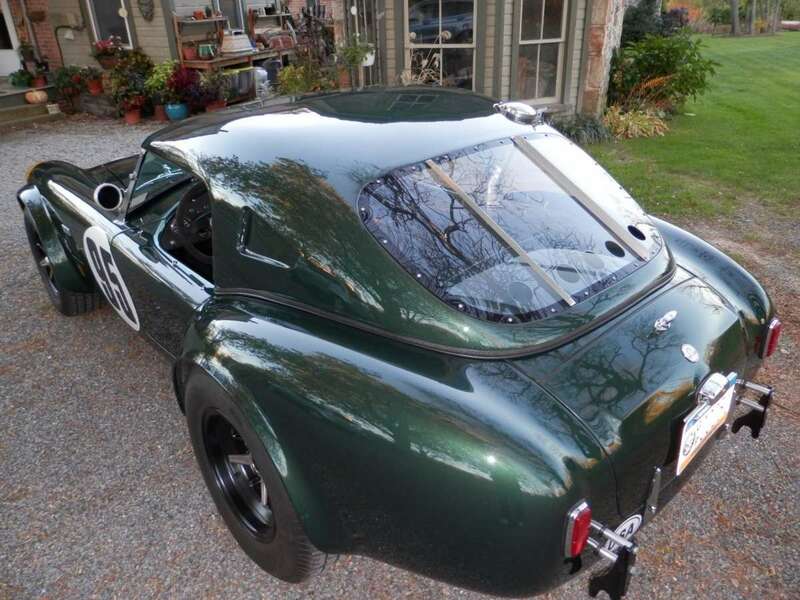 Most of our readers can probably relay a particular Carroll Shelby quote about the Cobra’s aerodynamics in their sleep, so we’ll save that analogy for another time. 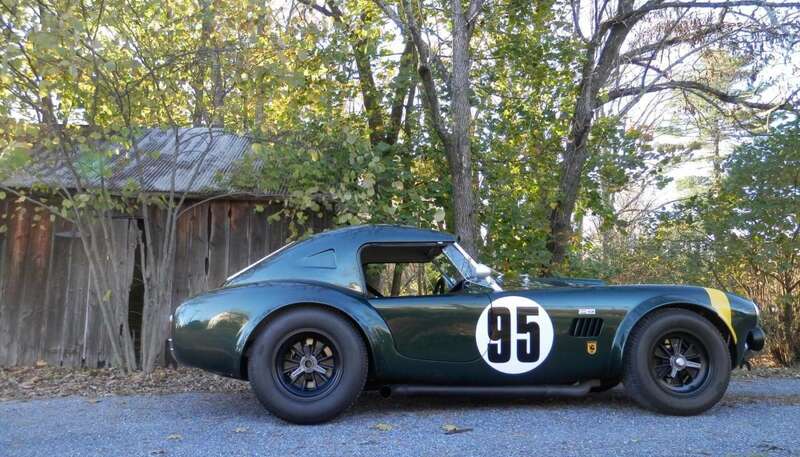 Most can also recall that the Daytona Coupe was the final result of the quest to improve the Cobra’s airflow manners, and did so for a brief moment before the factory-backed GT40 stole the show. One stop along the way that doesn’t get as much attention is the “Le Mans-style” hardtop Cobras. 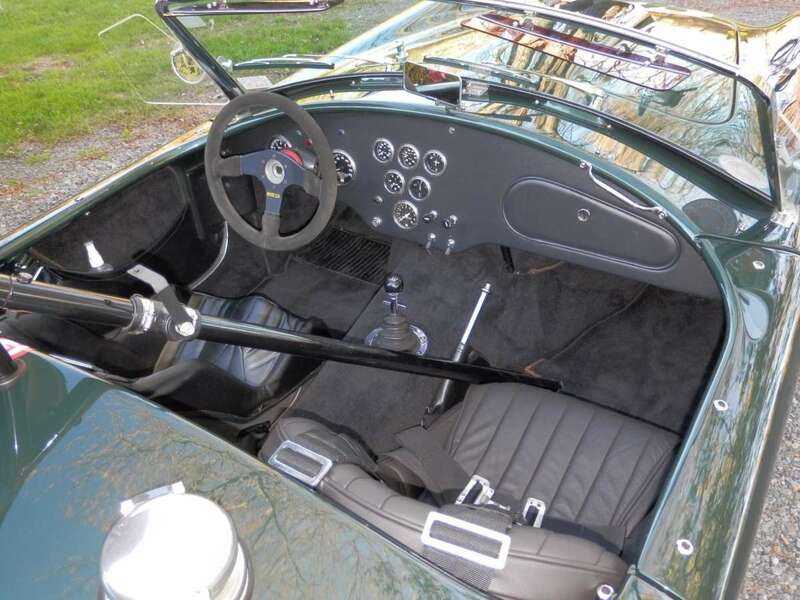 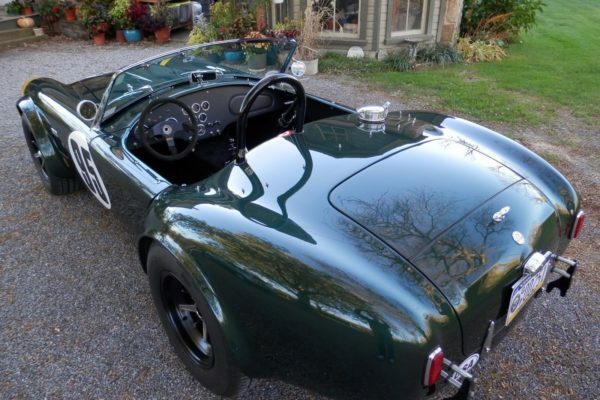 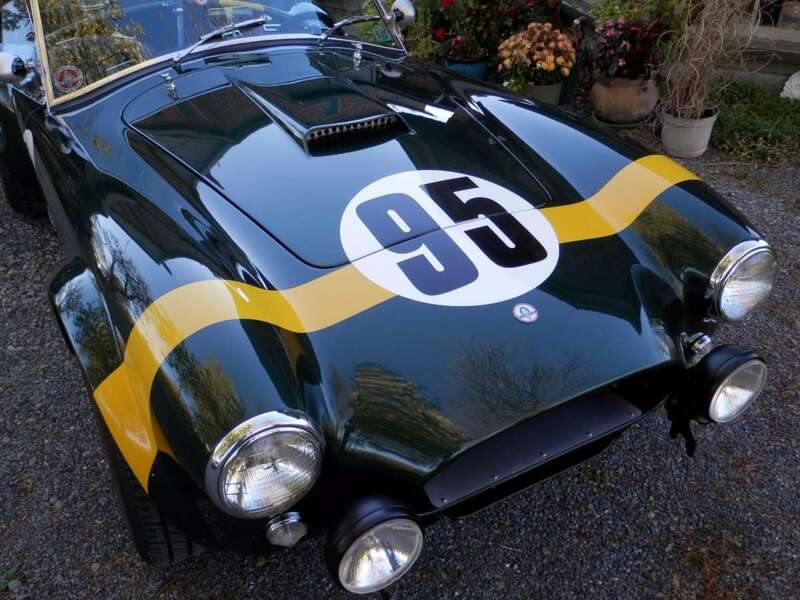 As the story goes, the Cobra roadster tore up tight circuit tracks with short straights but suffered greatly on the long straights of Le Mans and Monza circuits where its top speed fell short of its competitors. 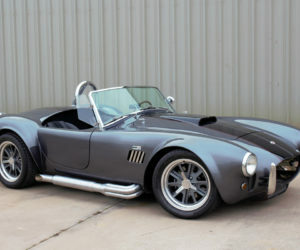 A large source of the Cobra’s aerodynamic woes was its open-cockpit nature, so a semi-fastback, removable hardtop was designed. 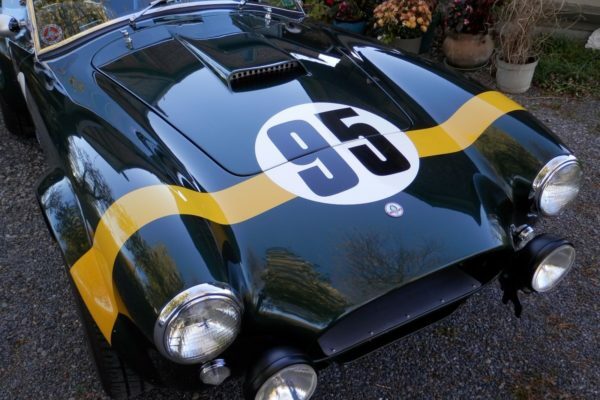 The first appearance of the hardtop Cobra would come at 1963 24 Hours of Le Mans. 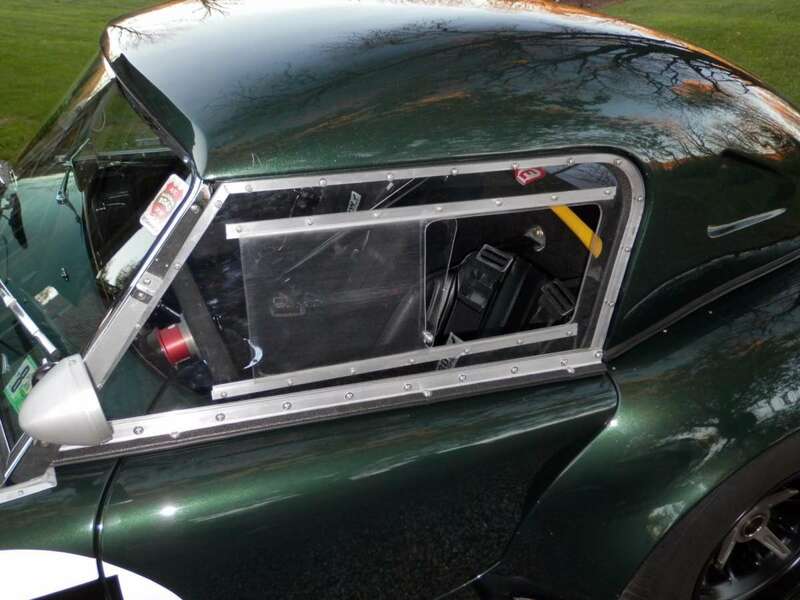 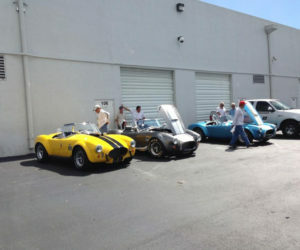 Two AC Cobras entered wearing alloy hardtops that gave the car better airflow and a higher top speed. 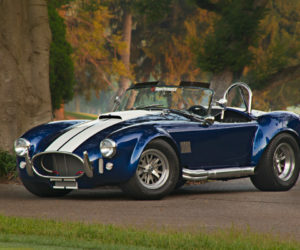 Unfortunately, the hardtop could not correct enough of the Cobra’s poor aerodynamics to best Ferrari’s 250 GTOs. 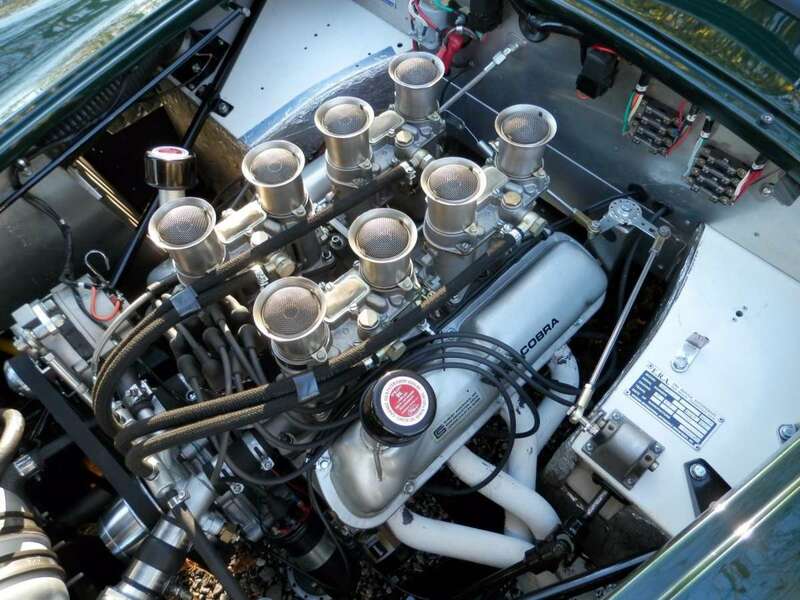 The Ferraris could achieve a top speed of 186 mph on 3-mile long Mulsanne Straight, leading to a 10-second per lap advantage over the hardtop Cobras, which could only reach 157 mph. 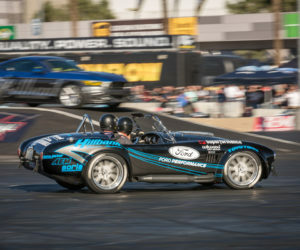 One of the hardtop Cobras, CSX2124, finished 7th overall behind six Ferraris, and the other was forced to retire from the race after 127 laps. 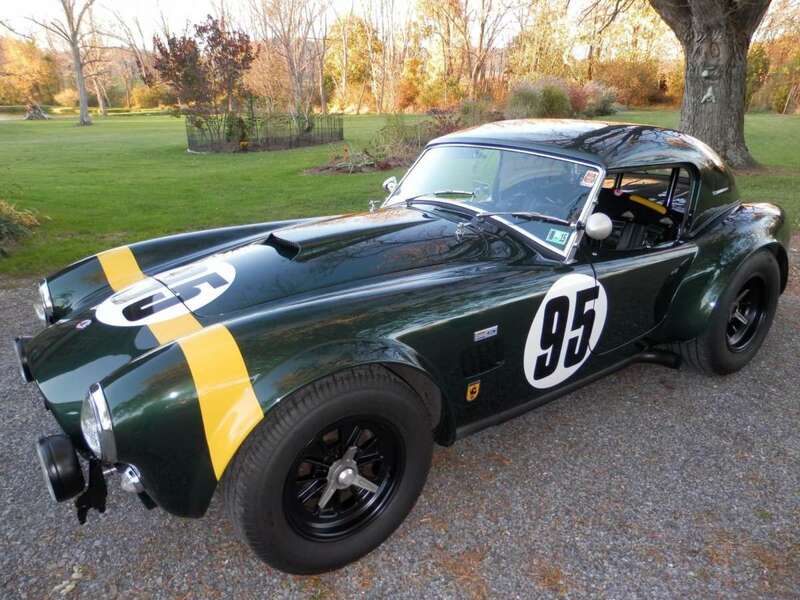 While it didn’t bring Shelby the win he desired, the Le Mans hardtop was a pivotal step towards the winning Daytona Coupe. 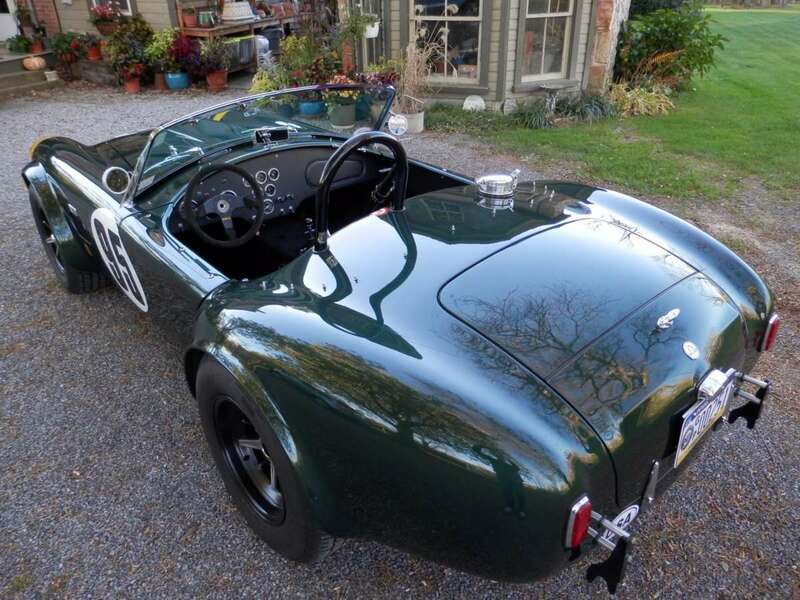 We take notice when a replica is modeled off a historically significant original, and the builder of this ERA 289 FIA has put together an interesting tribute. 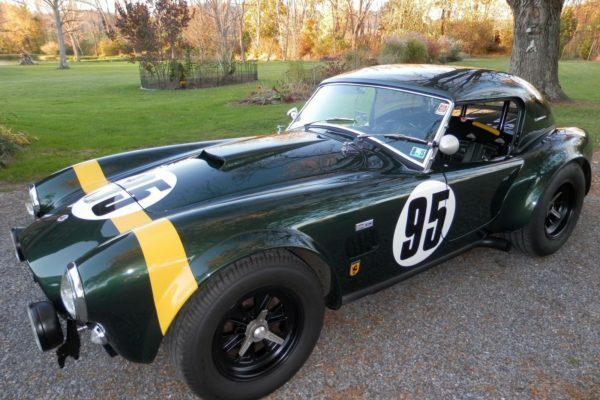 Off the bat, you’ll notice some early 289 FIA details. 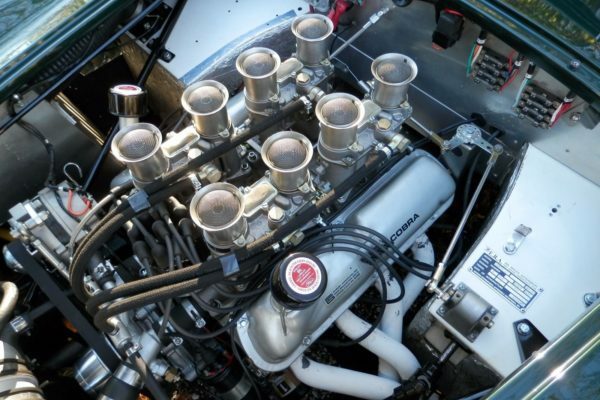 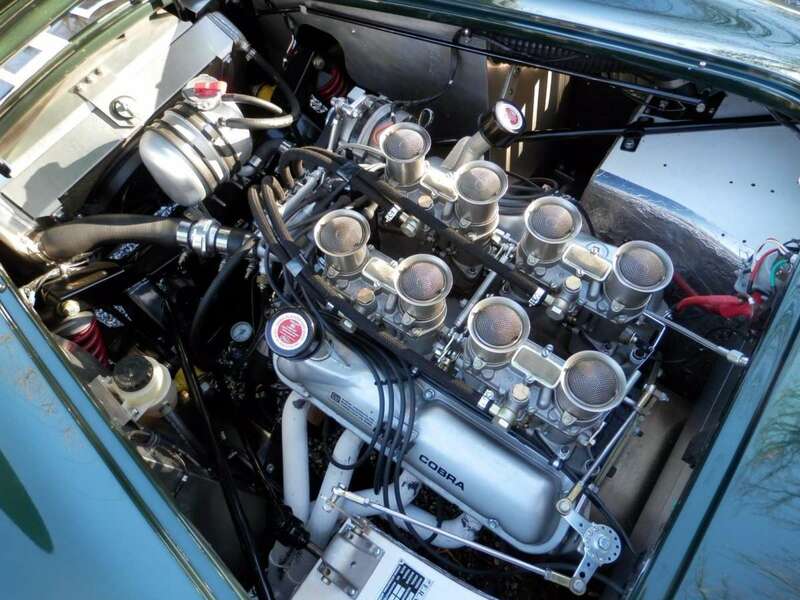 It rides on correct FIA style 15-inch wheels and the engine bay replicates the 289 racers well, with the right valve covers, coolant overflow tank, carburetors and fuel hoses. 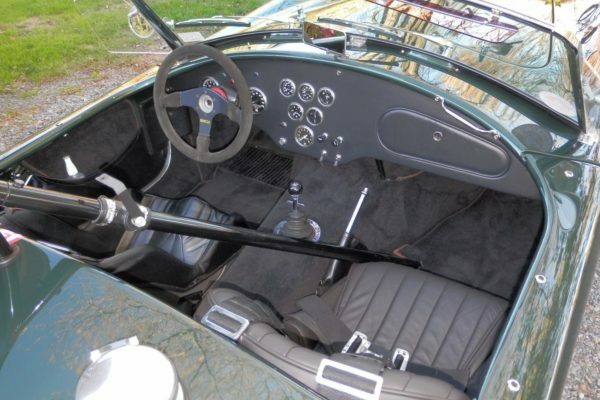 Perhaps more obvious are the distinctive Le Mans touches including a hardtop, reinforced roll bar and side-pipes. 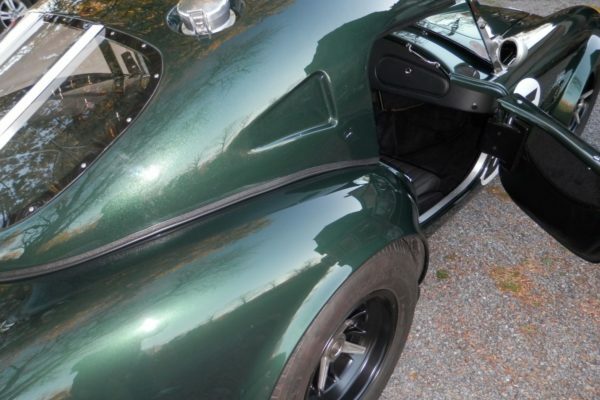 The fenders have also received the Le Mans treatment, as they totally enclose the wheels. 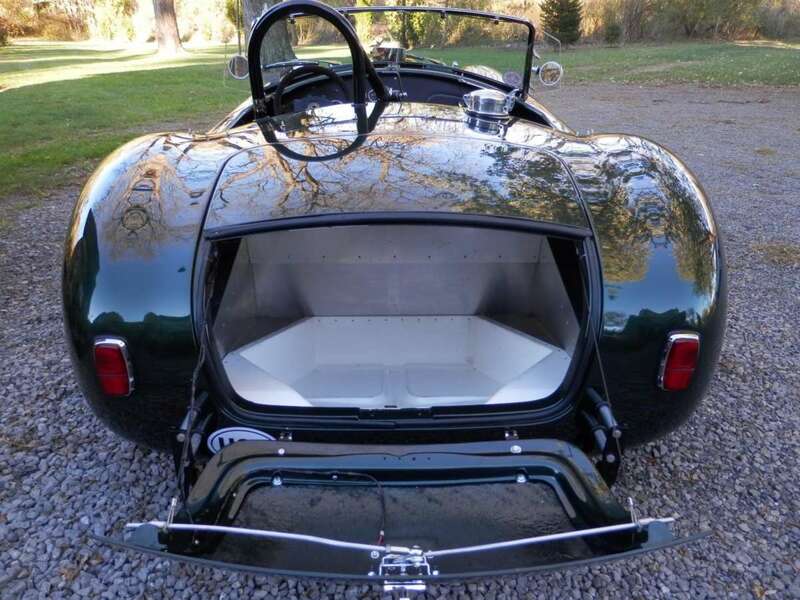 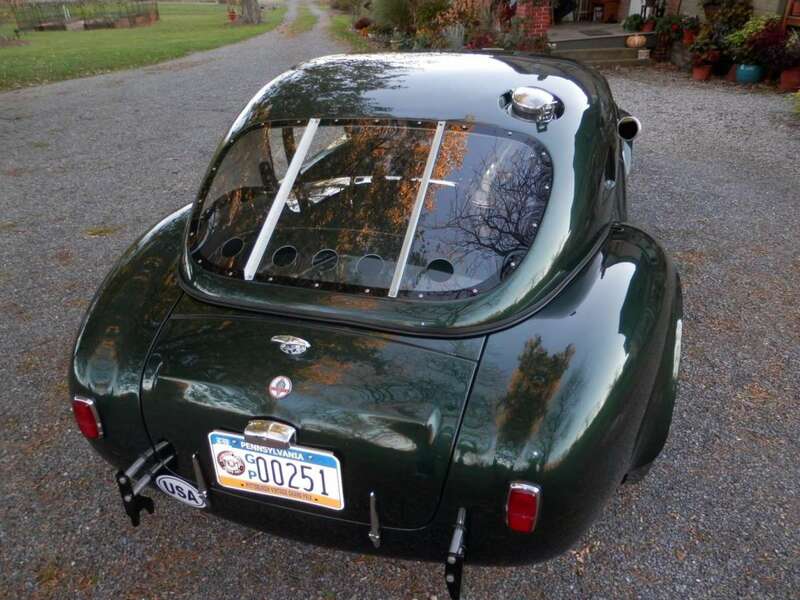 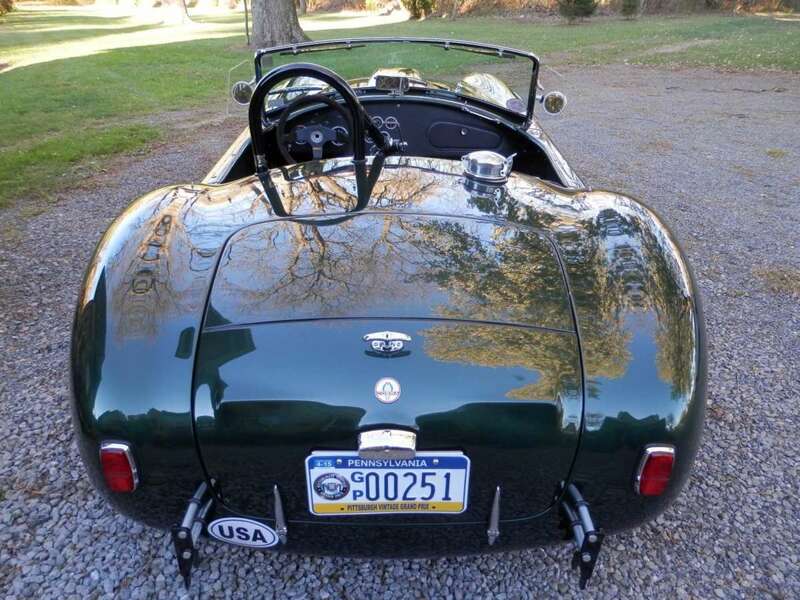 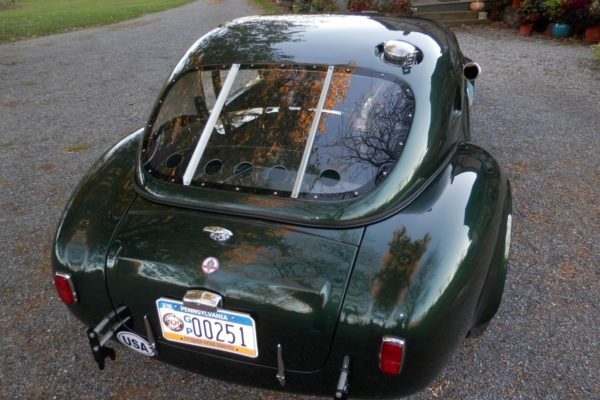 You’ll notice the trunk lid is also shorter than the standard Cobra trunk to accommodate the hardtop. 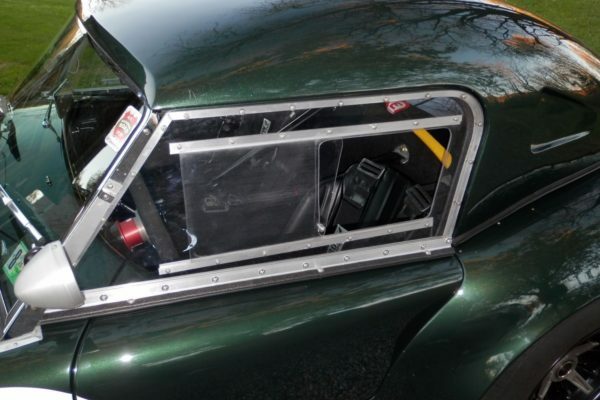 The lid opens backwards and has bump-outs to fit luggage, per the Le Mans rulebook. 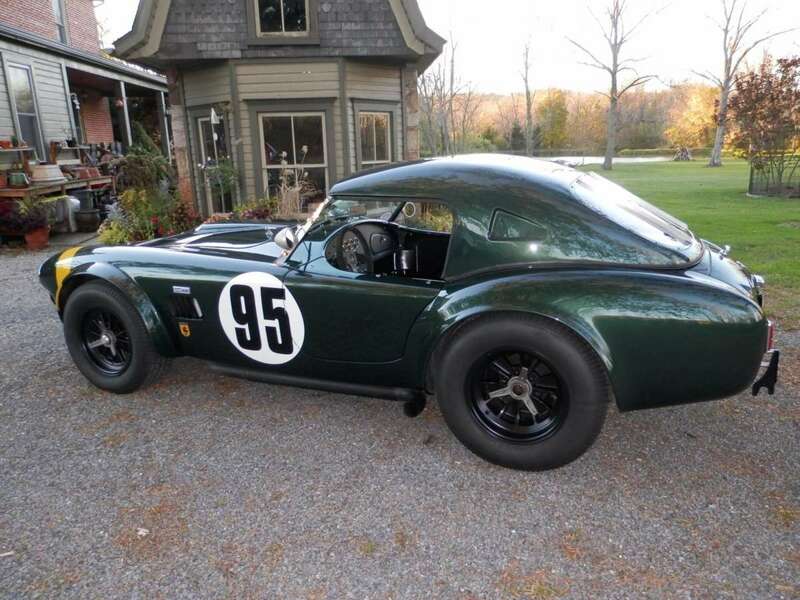 After an extensive search, CSX2557 emerged wearing number 95 roundels and appearing to be the answer to the remaining part of the riddle. 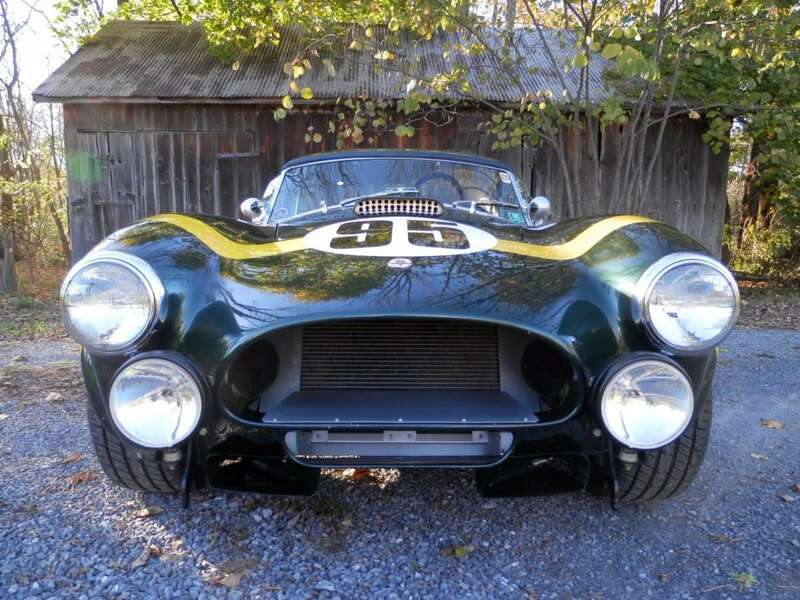 CSX2557 was built to FIA specifications and has many of the Le Mans details this ERA replica wears. 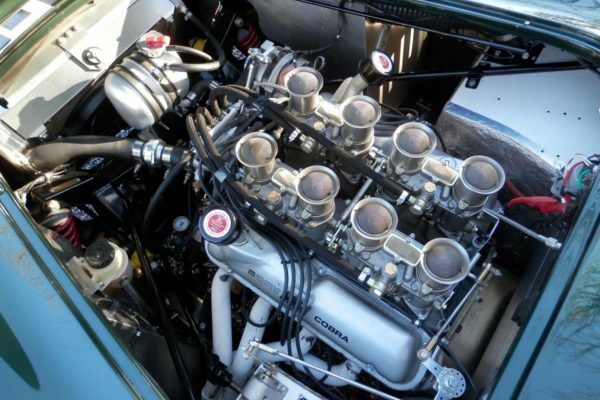 Its engine bay is an exacting image of CSX2557, it has FIA wheels and the iconic Le Mans style roll bar. 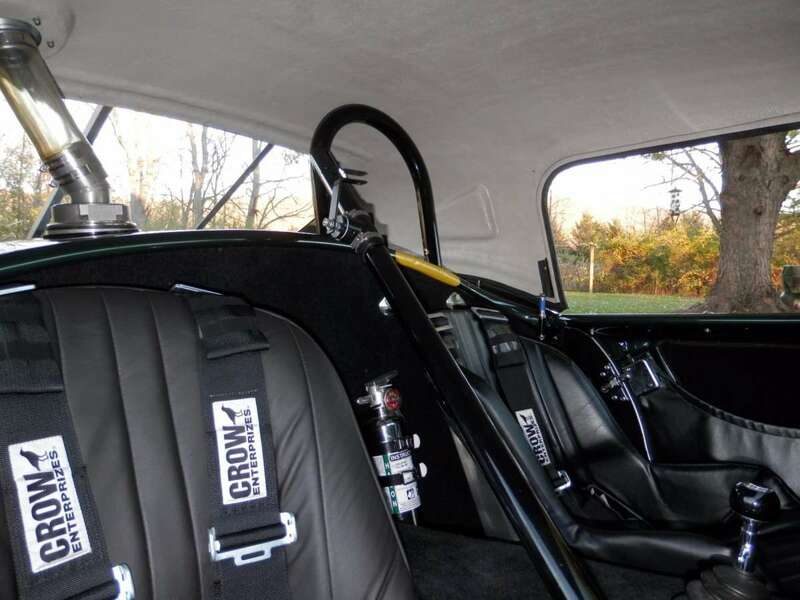 The ERA replica lacks the rivet-on front fender spats, just as CSX2557 does, and its interior features the same gauge layout and T-handle shifter. CSX2557 differs in a few major ways from the ERA replica, however. 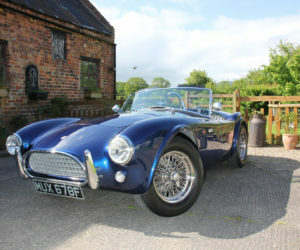 2557 is finished in classic Guardsman Blue with white stripes and does not appear to have ever had a Le Mans hardtop or trunk. 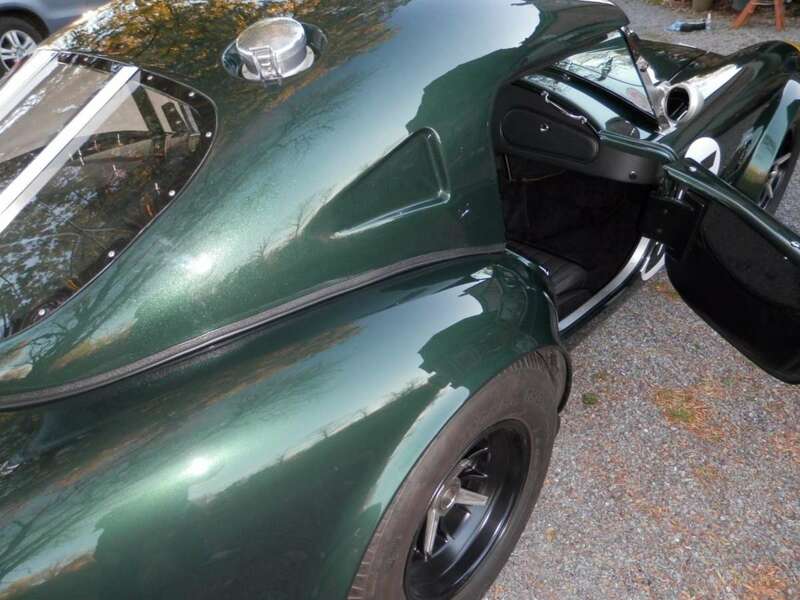 The ERA replica also does not wear the dual side-pipes that CSX2557 does. 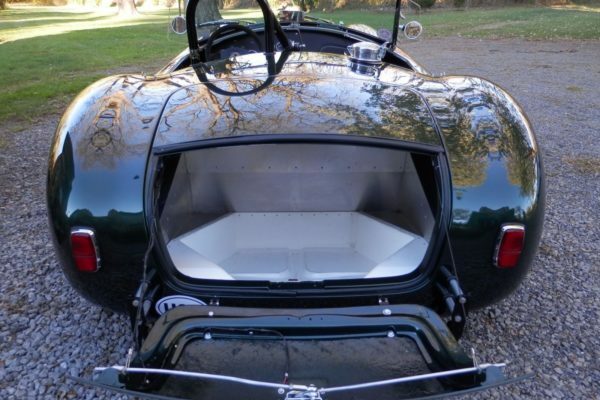 In the end, it seems that the builder of this ERA replica wanted to pay tribute to several historically significant cars. 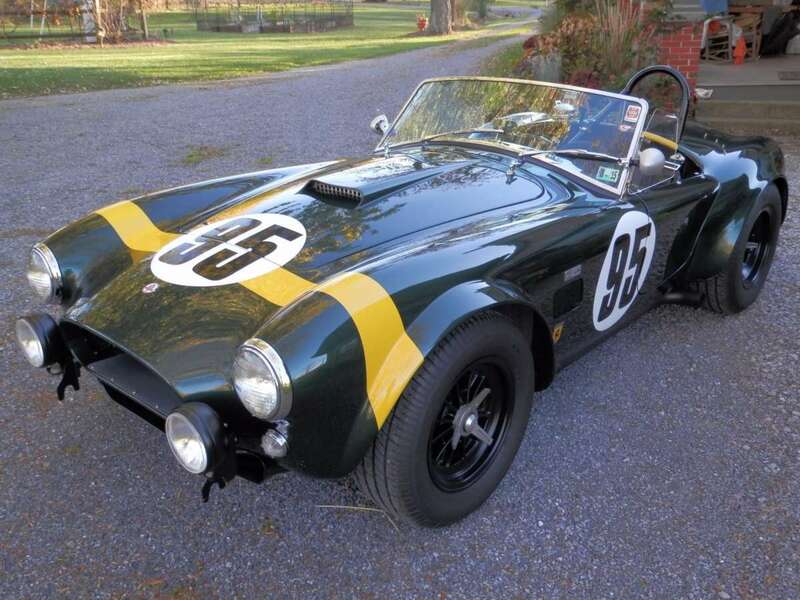 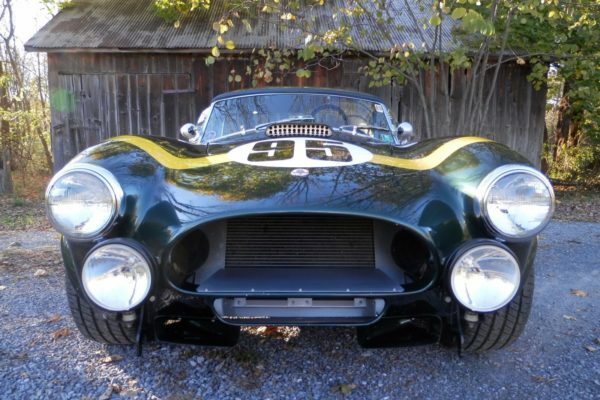 The ERA is mostly based on CSX2557, one of the most complete and original FIA racing Cobras in existence, but also tips its hat to the rare Le Mans hardtop racers. 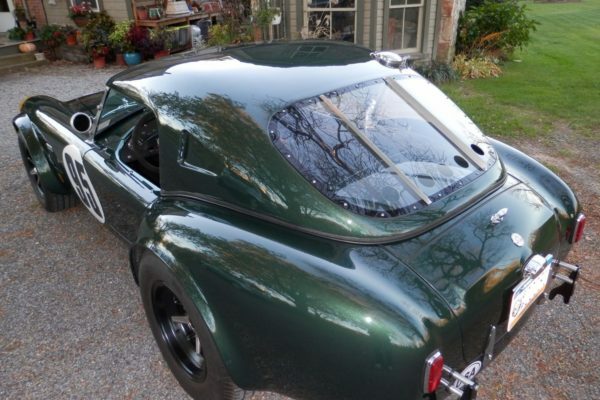 A quick read of the owner’s build thread also explains that the owner desired a hardtop for long distance driving. 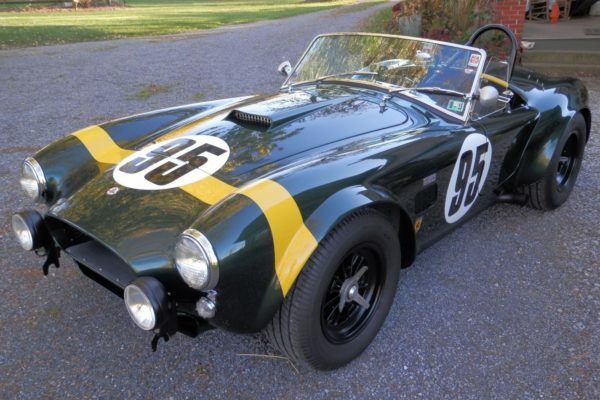 (I guess that makes sense also) This replica’s build sheet is stacked with big names and would be sure to bring strong money with fewer miles on the clock. 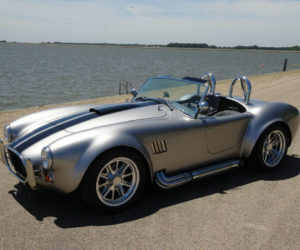 On the flip side, it's great to see that this Cobra has been enjoyed. 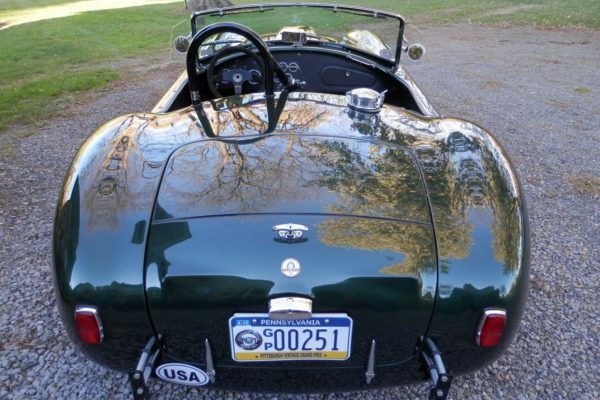 Check out the listing here on eBay.